Nokia (s nok) phones running the new Symbian Belle software will gain more productivity applications in the form of Microsoft Office (s msft) products. The first suite of tools, called Microsoft Apps, are expected by the end of the year with a widespread release in the beginning of 2012. 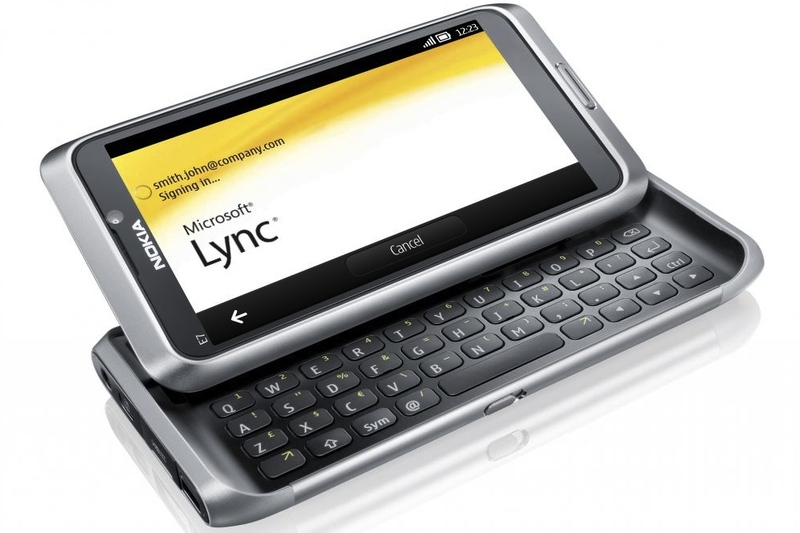 A planned future update will bring Word, Power Point and Excel to Nokia’s recent smartphones by mid-2012. Software in the first release will include Microsoft’s Lync 2010, OneNote, PowerPoint Broadcast and Document Connection, which includes SharePoint access. In addition to these and the release of the traditional Office productivity apps, Nokia says it’s also working with Microsoft to integrate mobile device management tools. For a platform that’s essentially on a long-term death watch, the most progress I’ve seen in Symbian has been after Nokia decided to use Windows Phone for its future smartphones. It’s a bit of a head-scratcher, given that Nokia has publicly committed to support Symbian only through 2016. Plans can change however, and I wonder if Symbian isn’t quite dead yet. Yes, as of now, Nokia is planning to shore up profits and market share with new Microsoft Windows Phone 7 hardware. But that hasn’t stopped the company from releasing new Symbian handsets, refreshing its old user interface with positive changes and now, adding productivity tools. Granted, the recently launched handsets were likely already in the production pipeline. But if Nokia continues to invest in new Symbian hardware and major software updates — and sales begin to rise — Symbian could prove to finally be the platform it always had the potential to be for Nokia, a solid supplement to the company’s Windows Phone 7 devices and a backup plan for platform independence. The Symbian zombie army, marches on, I guess. Anyone who has seen ‘Zombieland’ knows what to do: double-tap. If these devices and software were always in the pipeline, then Nokia would’ve considered this pipeline when they went into with Microsoft, wouldn’t had they? Symbian might be the “Oops! Samsung is gonna capture the low- and mid- cost devices market with Bada phones – the same market we built all these years!” afterthought. Having native Microsoft apps and the Belle UI will definitely improve the value of Symbian handsets. All the latest Symbian handsets are also pentaband 3G so even if they are not marketed in the USA they suppport both major GSM companies high speed data frequencies. It might not suite all but it is becoming more competitive with unique features that most handsets at it’s price range don’t have. Seems like too little, too late. Quick Office does a fairly good job on Symbian and is not too expensive. Nokia even included Quickoffice on its E series phones for free, atleast until recently. My E71 had it. Besides, Microsoft Apps seem to be available only for the very recently released Nokia Symbian phones, which few people seem to actually have taken to. So Microsoft/Nokia should not really expect too much traction there. I suppose Microsoft is trying to ease people into what will eventually be available on Nokia WP7 phones whenever they actually turn up in the market.